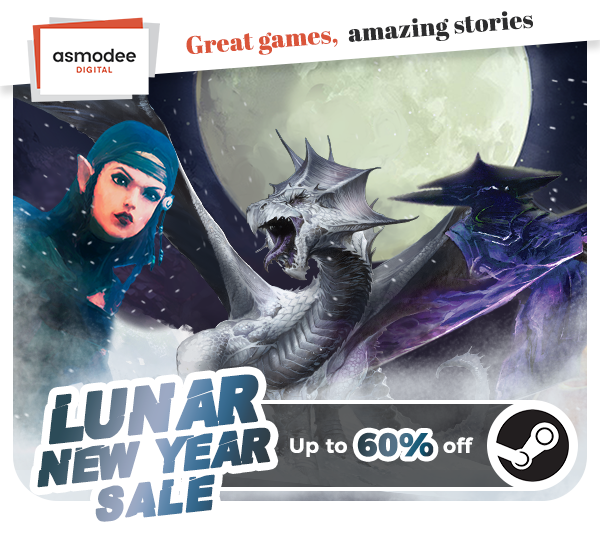 Our Steam Lunar New Year Sale has now begun! Get up to 60% off on a selection of games on Steam until February 11. You received this email because you are subscribed to the Asmodee Digital's newsletter.